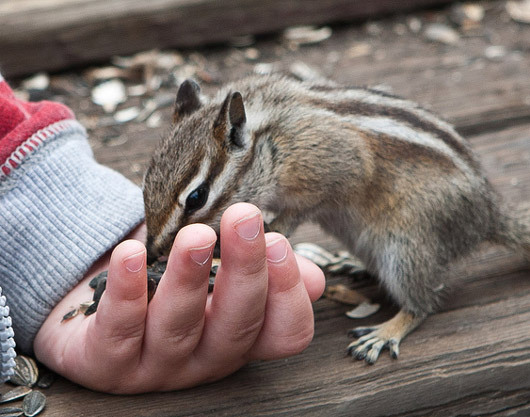 Who knew that the Colorado ghost town of St. Elmo was a huge chipmunk mecca? Some handfuls of seeds helped us play Gulliver to the "chippies" ("I'm a chippymunk!" declares Hen). Check it out! Margot bought the guys little marshall badges plus a couple of stuffed chipmunks. "Look at that bushy-tailed menace!!" exclaimed Finn upon seeing his. (Apparently he picked up that phrase from Fireman Sam.) Now the little "Menaces" accompany our guys around, with one sometimes making trips to my chin (where it becomes a "chennace"--chin menace).